Non-precious metal restorations, partially porcelain veneered ordered by the dentist. 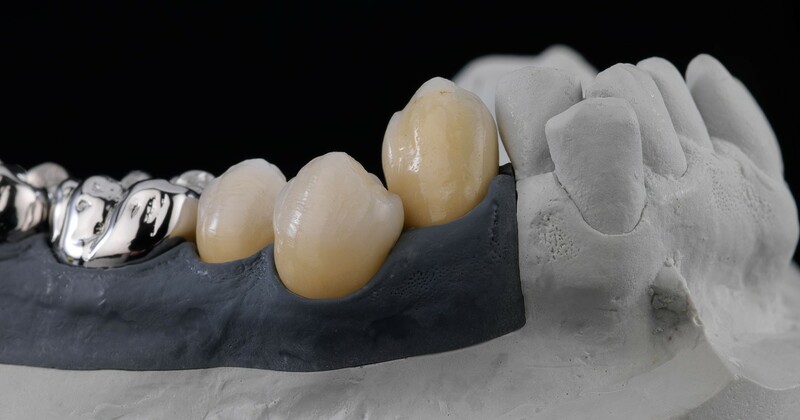 Dry-millable CoCr sinter metal Ceramill Sintron; monolithic, partial and fully veneered using Creation CC porcelain. Metal and porcelain junctions – focus on function and aesthetics; naturalness with 46 and also allowing for tooth misalignment. Design with the aid of a diagnostic model for customised and natural implementation. 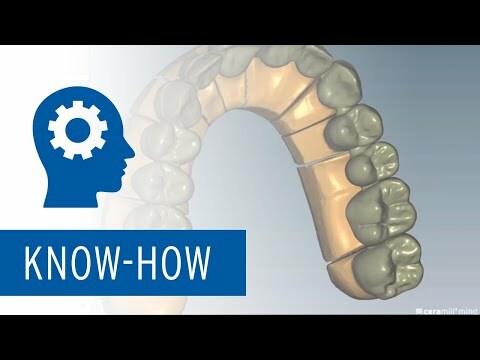 Based on the existing data (master and diagnostic models) even a clinical case with a very individual tooth position can be fabricated efficiently and easily.